Eye creams are essential beauty products for many African American ladies. They not only protect our delicate eyes from UV damage and potential aging, but they can also fix the existing damage around your eyes such as dark circles. Having an under eye cream is an absolute necessity in some cases. Even if it is not necessary, it is a sane thing to do in order for us to care for the skin around our eyes in order to counter the damage caused by exhausting routine and disease deterioration. So, how can you find the best eye cream for black skin? 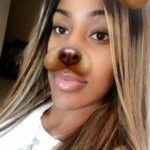 What things do you need to look for when it comes to buying a dark circle eye cream? What kind of skin damages can eye creams fix? Are puffy, dark eyes bothering you? Baebody Eye Gel might be just the right pick for you because of its anti-puffiness and dark circle fixing properties. Designed to alleviate almost all kinds of under eye skin problems, the Baebody Eye Gel is the best eye cream for dark circles. I’ve done a Baebody eye gel review in the past. Whether you want to remove sagginess from under your eyes or simply want a fresher look, Baebody Eye Gel is designed for your rescue. Baebody Eye Gel is capable of treating under eye skin problems such as Eye-Bags, Sagginess, dark-circles, fine lines and Crow’s feet present on the skin around the eyes. Baebody Eye Gel has skin-restoring and rejuvenating properties. If you are suffering from aging skin around the eyes, the formulation of Baebody Eye Gel is good enough to fix this problem for you. Apart from skin rejuvenation, the cream also has significant moisturizing properties which can help in the treatment of dehydrated under eye skin. Speaking about the anti-aging properties of Baebody Eye Gel, the cream contains the hyaluronic acid – the ingredient which hydrates and plumps the skin. It also has Matrixyl 3000 which shows skin firming action. Plant stem cells, Vitamin E and MSM make a perfect skin strengthening blend to protect the skin against aging and sun damage. 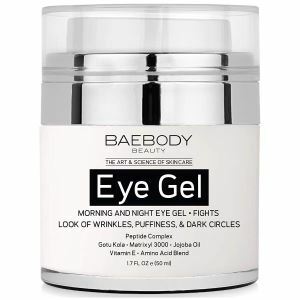 Baebody Eye Gel is the best eye cream for dark circles. If you are tired of dark eye appearance, the day and night application of Baebody Eye Gel shows significant results in the form of dark-circle reduction. Although the process may take some time, the results are worth the wait. 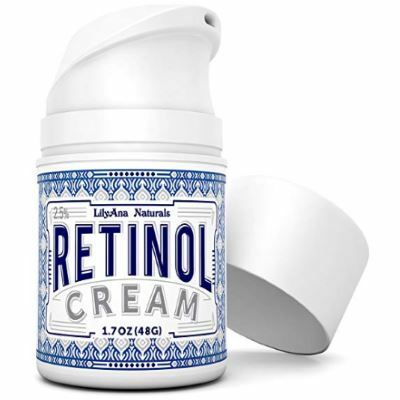 People who have become skeptical of all the anti-aging claims made by almost every other under eye cream are promised to change their views after using the LilyAna Naturals Eye cream Moisturizer. This eye cream has successfully earned the trust of many users, both male, and female who have been struggling with finding the right kind of anti-aging under eye cream previously. The most important thing about the LilyAna Naturals Eye cream Moisturizer is that, unlike the cheapskate and common under eye creams, the LilyAna Naturals Eye cream Moisturizer does not contain any harmful chemicals such as Parabens, synthetic colors or artificial fragrances. So you can undoubtedly check it for its skin-friendliness and the non-availability of skin irritants. LilyAna Naturals Eye cream Moisturizer is claimed to be the best eye cream for wrinkles because of its amazing formulation and instant action. Speaking of the rejuvenating treatment, the LilyAna Naturals Eye cream Moisturizer offers advantages of skin firming, brightening, hydrating and tightening of the delicate under eye skin. You can count on it for its universality in anti-aging treatment – courtesy of the nourishing ingredients such as Vitamin E and C, Hibiscus Flower extract and Rosehip Seed oil. You can observe quick results by using the cream day and night. The light constituency and skin toning properties of LilyAna Naturals Eye cream Moisturizer make it suitable to be applied before using makeup. People who are tired of being called insomniacs just because of the presence of dark circles and puffy eyes can make great use of the Organys Eye cream. The cream has a perfect formulation to shut the remarks coming from everyone regarding the weary appearance of your eyes. If you are facing dark circle problems, Organys Eye cream is the right kind of dark circle cream which you shall use. This cream has a capability of refreshing the skin around and under your eyes, if they carry too much puffiness or sagginess. Organys Eye cream is a perfect find for you if you are looking for an all-inclusive and effective dark circle cream. 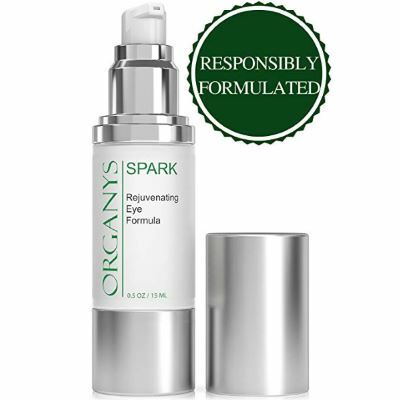 Organys Eye cream has just the right kind of formulation to claim the label of best under eye cream. Suitable for preventing squinting lines under your eyes from turning into crow’s feet and wrinkles, the Organys Eye cream will deal with almost all kinds of under eye skin problems. Application of Organys Eye cream can offer a younger-looking appearance of your under eye skin if used regularly. Organys Eye cream features a formulation which is a perfect blend of anti-wrinkling peptides, Hyaluronic acid, Vitamin C and most importantly Caffeine. CeraVe Eye Repair is the perfect under eye cream for people who are suffering from dark circles and puffiness. The CeraVe Eye Repair has the capability of treating a wide range of under eye skin problem, offering the user a healthier and fresher-looking under skin. The cream not only repairs the skin damage caused previously to your under eye region but also restores the original health of the delicate under eye skin. You can count on the Marine and Botanical complex used in the formulation of CeraVe Eye Repair for maximum results. Since the under eye skin is a delicate protective barrier for eyes, the CeraVe Eye Repair is a good eye cream for dark circles and puffiness as it is verified safe by ophthalmologist testing. Having a formulation based upon all 3 kinds of ceramides, the CeraVe Eye Repair is cable of restoring the natural health of under eye skin. The MVE controlled released technology of the tube helps in replenishing of ceramides for delivering a long-lasting moisturization. Pure Body Anti-aging eye cream has gained a number of positive reviews and appreciation from a large number of satisfied customers. If you are tired of waiting to see the results of using under eye creams, Pure Body Anti-aging eye cream will end the toil of waiting for you by showing instant results. You can count on its unique, all-natural ingredients which make up 90% of Pure Body Anti-aging eye cream’s formulation. The effects of applying Pure Body Anti-aging eye cream are not only instant but also long-lasting. This cream contains fision and Baobab Tien formulation which can not be found in any other under eye cream. Pure Body Anti-aging eye cream is that under eye cream which will make your skin look healthier. May it is puffiness, fine lines, eye bags or dark circles around the eyes, the Pure Body Anti-aging eye cream will fix them all. Having an instant-absorbing and non-sticky formulation, the Pure Body Anti-aging eye cream is lightweight enough to absorb in your skin before makeup application. Hydration and skin rejuvenation are all the benefits you can expect after using Pure Body Anti-aging eye cream. The Fision instant has unique polysaccharide and protein formulation which bind together to form a protective layer on your under eye skin, protecting the area from damage. Eye creams usually include a combination of different ingredients which are an important part of the eye-cream formula. Ingredients such as alcohols, fragrances, natural oils and plant extracts are frequently found in eye-cream formulations. If your skin is sensitive to any of these ingredients, avoid using the eye cream based on that particular ingredient. Before you buy an under eye cream, read the ingredients printed on the packaging of the cream. Doing so can help you in avoiding an eye cream which can cause severe irritation and rashes around your delicate eye skin. No matter how young your skin is, it still needs moisturizing. Our skin has thousands of small pores present on it and excessive perspiration can lead to extreme dehydration of the skin. Even if you think you have had an adequate quantity of water, the delicate skin around your eyes is prone to quick dehydration and wilting. If you are a victim of dry lines around your eyes or have dry eye skin, the use of emollient eye-creams which have oil-moisturizers in them can fix the problem. You can also opt for water-based eye creams which have moisturizing compounds such as hyaluronic acid and glycerin for mild moisturizing of under eye skin. Any cream on the market is capable of offering a considerable deal of moisturizing but that’s not what makes an all-inclusive, perfect eye cream. For an eye-cream to suit your needs, it shall be able to offer much more than moisturizing benefits. Ingredients such as niacinamide, retinol, and caffeine are required to tackle under-eye skin problems. Go for an under eye cream which has these constituents as it will help in treating the puffiness, dark circles and wrinkles present on the under eye skin. The best under eye creams usually contain a high concentration of anti-oxidants and other kinds of light and heat sensitive ingredients. Pick an under eye cream which is available in the form of tubes or pump bottles. The material of the tube or pump bottle shall be made up of opaque material in order to prevent light and air from entering the tube. Jars and tub containers do not make a suitable pick for getting an under eye cream because these packagings are susceptible to contamination of the crème from frequent contact. Purchasing a slow working under eye cream is not a good idea. 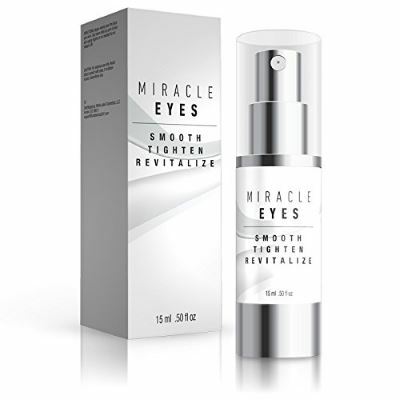 Although many of the eye creams do not show overnight results, some are designed to show instant results. For instance, an eye cream which has skin whitening properties will immediately add a glow to the skin right after minutes of application. Similarly, a cream having properties of skin rejuvenation will quickly act to reduce puffiness from the eyes. You do not want a sticky eye cream to run or gum on your skin after hours of application. Although many of the eye creams are designed for the overnight application, some are also available for day or night application as well. Pick an eye cream which shows instant absorption in your skin as this will prevent gumming or running of the cream if you apply to makeup on your face. Finding the best under eye cream can be a tricky task but following the guidelines offered in this under eye cream, buying guide can help you in picking the right product to suit your needs. According to our opinion, the Bae Body Eye-Gel is the best under eye cream to be used by a vast range of individuals. Since this under eye cream has the properties of dealing with a vast range of under eye skin problems such as fine lines, aging, crow’s feet, puffiness, eye bags, sagginess and dark-circles, the Bae Body Eye-Gel is truly a reliable and affordable pick for any user. The opaque tube packaging and mild ingredients also make it a perfect under eye cream. You can pick the under eye cream from the list given above by cross-matching our review with your needs.